Now, with the tide turning in Rajasthan — Congress formed the government in the state last December — and BJP not putting up a good-enough show in the 2017 Assembly elections in Gujarat, the party has to prove it has walked its talk of ‘sahi neeyat, sachcha vikas’ and ‘sabka saath, sabka vikaas’. 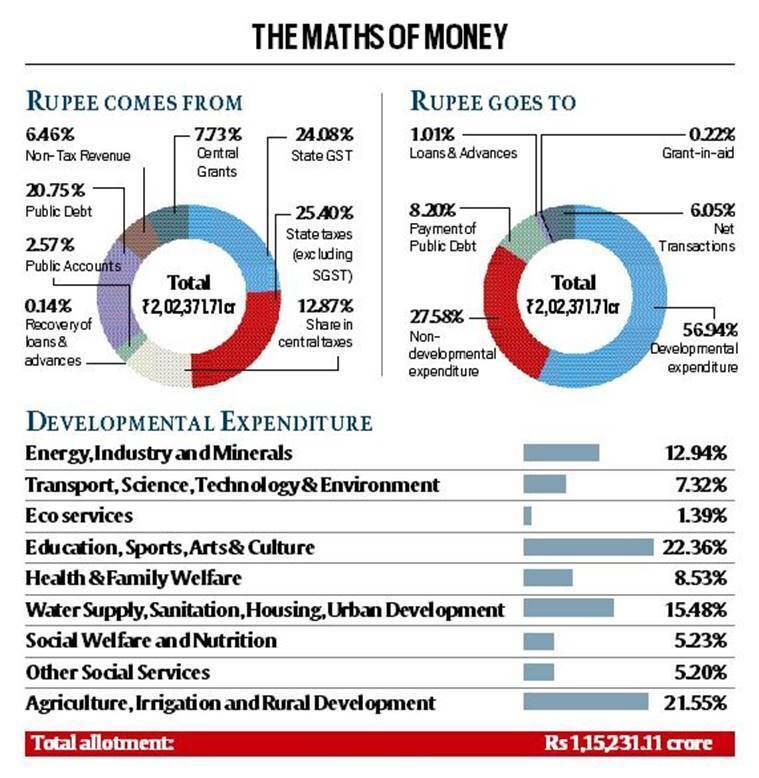 In the Interim Budget, the BJP government has something for everyone, even if token, in the hope that their votes stay with them in the upcoming Lok Sabha elections and ensure the party’s 2014 performance. In 2014, Rajasthan and Gujarat were the only two states that had elected BJP MPs on all its seats, helping the party gain a majority on its own in the Lok Sabha. The thrust of the sops for 2019-20 remained on castes, and sections of society like the elders, widows, even anganwadi workers who had agitated against the BJP government ahead of the Gujarat Assembly elections. To address farm distress, the government announced a “revolving fund” to take care of farm loans, and waived of power bills of nearly 7 lakh farmers, which will cost the exchequer Rs 691 crore — contradictory to the position of the government when Narendra Modi was chief minister. However, with 51 talukas declared drought affected, especially in Kutch district, the problems are likely to accentuate during the elections which would be held in the middle of summer. Looking to woo large votebanks like Kolis among the OBCs, Finance Minister and Deputy Chief Minister Nitin Patel has announced sops for fishermen and shrimp farmers.